At Gibson & Mullennix, PLLC, people from all walks of life in our part of Mississippi receive the legal counsel and representation they need at rates they can afford. Whether your situation requires thorough investigation and a court appearance or interactive discussion of your estate planning goals, our work together can begin with a free consultation. I became a lawyer because I love solving tough problems and helping people gain the peace of mind to move forward in life with confidence. My clients are comfortable talking to me, and they know our conversations are private. If you choose to hire me, I will always respond to you promptly and put your interests first. 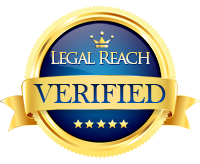 Do You Need A Madison County Guardianship Attorney? Facing Criminal Charges? As a Jackson will and trust attorney, I help people understand their legal options in all types of difficult family situations, including the need to petition for a guardianship or conservatorship for a parent who can no longer make informed decisions. As an aggressive yet practical criminal defense lawyer, I will make your case a priority and give you straight answers at every turn. If you need legal advice you can trust anywhere in our area — from Canton or Ridgeland to Hazlehurst or Florence, Vicksburg or Clinton to Pearl or Brandon or points between — please contact me and let's talk.